The wind industry continues to deliver up a bevy of eco-irony, a gift to those sick to death of the moral piety dished up by its deluded acolytes. 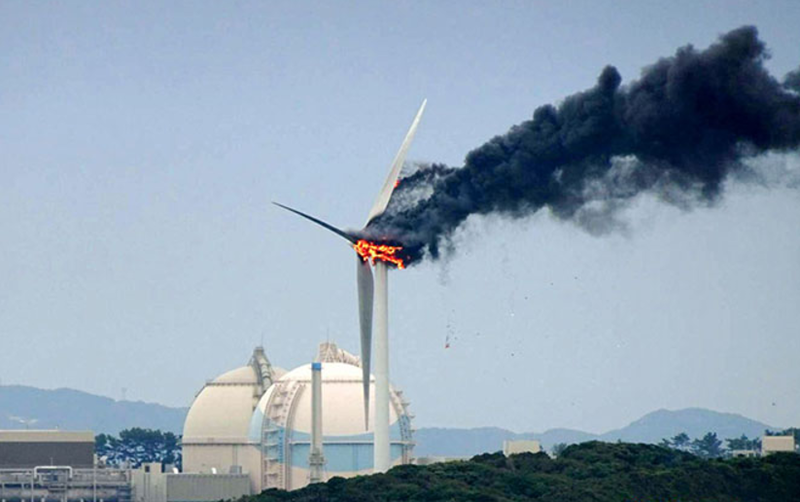 Turbines exploding into flames, blades exploding into the ether and turbines, well, just plain exploding – make a mockery of claims by cultists that wind power is clean, green and as safe as houses. Every time a wind worshipper starts praising their beloveds, yet another catastrophic turbine failure pops up somewhere in the world. The likelihood of such calamities has reached a form of certitude in the world’s wind power Mecca, Germany. Barely a day goes past without some form of pyrotechnic meltdown or exhilarating disintegration, providing neighbours with plenty of cheap thrills. Aside from the mortal threat these things pose to those unfortunate enough to be lumbered with them in their backyards, there’s the broader environmental threat posed by tens of thousands of toxic turbine blades and a bevy of other noxious components spread across Deutschland. With hundreds of turbines grinding to a halt, the cleanup has just begun. The cost will be staggering. Here’s NoTricksZone detailing another delicious eco-irony. Germany’s “Ticking Time Bombs”…Technical Experts Say Wind Turbines Posing “Significant Danger” To Environment! 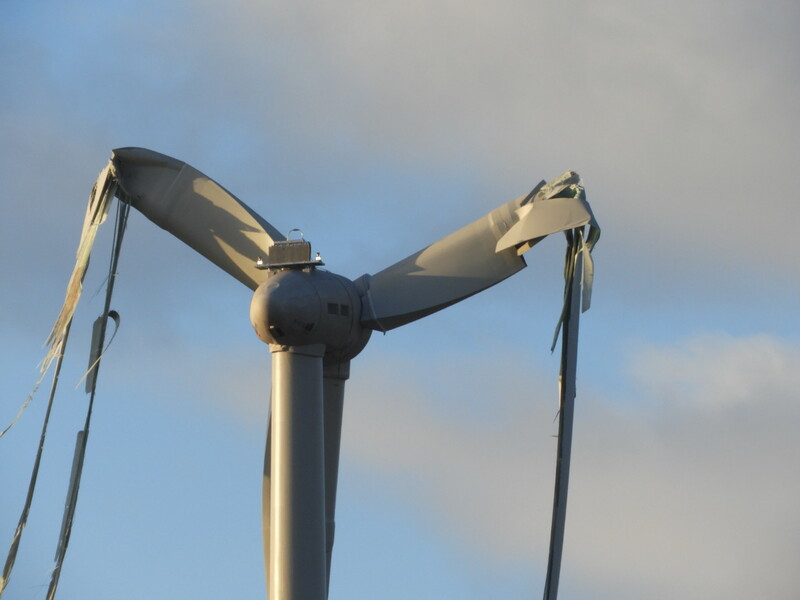 According to a commentary by Daniel Wetzel of online German Daily ‘Die Welt’, the aging rickety wind turbines are poorly inspected and maintained and thus are now posing a huge risk. Over the past months alone there’s been a flurry of reports over wind turbines failing catastrophically and collapsing to the ground, e.g. see here, here and here. As the older turbines age, their components and electronic control systems are wearing out and beginning to gravely malfunction. And according to Wetzel, these turbines are not even subject to strict technical monitoring by Germany’s TÜV (Technical Inspection Association), which provides inspection and product certification services. In Germany industrial systems are required to regularly undergo technical inspections and approvals in order to ensure that they operate safely. However wind turbines are exempt from this strict requirement and so many wind park operators are neglecting to properly inspect, maintain and repair the systems, which is costly. 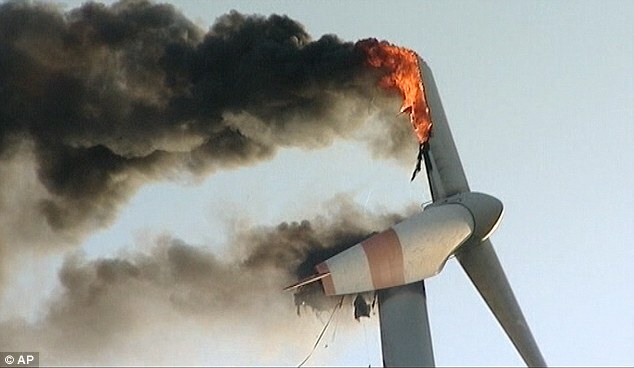 And so it surprises no one that the aging turbines are beginning to fail catastrophically. As a result, the TÜV is calling for turbines to be treated like any other industrial system, and be required to undergo rigorous inspections as well, Wetzel writes. In 2016, near in the region of Paderborn, a 100-tonne turbine and its rotors plunged to the earth. The turbine was nearly 20 years old. “Razor-sharp fiberglass shards flew 800 meters,” the Westfalen Blatt reported. 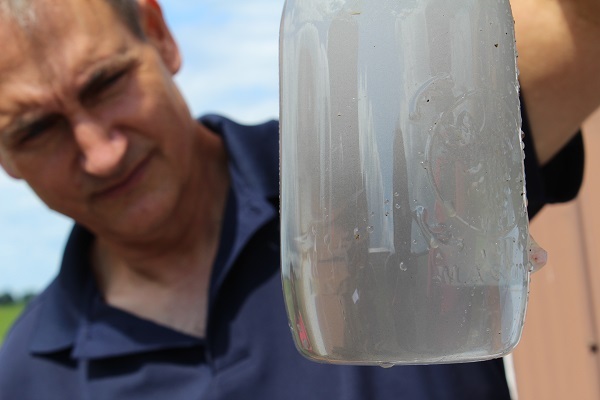 Another hazard comes from the hundreds of liters of transmission oil the turbines that seep into the groundwater. Moreover the huge reinforced concrete foundations require tremendous energy for their manufacture and they penetrate deep into the ground, which adversely effects soil and groundwater. 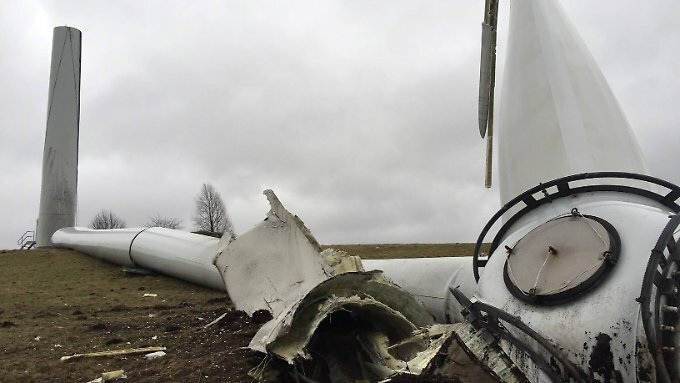 The number of wind turbine disasters is mounting, reports Wetzel. Wind energy opposition group Vernunftkraft keeps a list, which has grown to be pages long. 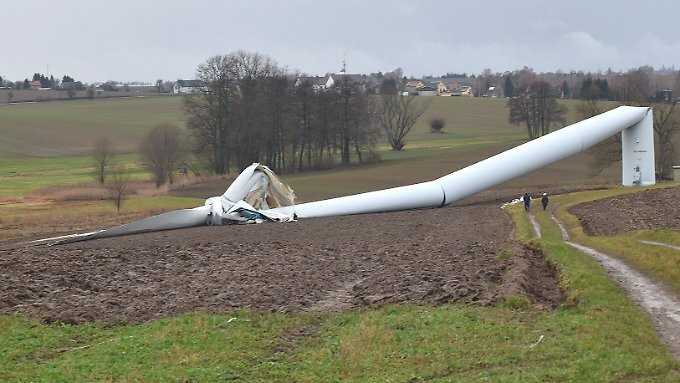 But the German Association of Wind Energy (Bundesverband Windenergie) downplays the incidents, calling them “isolated cases”. Wetzel writes that many turbines are now approaching their 20-25 year lifetimes and that extending their operating time should require technical approval. The technical and structural integrity of the turbines in most cases is completely unknown. TÜV expert Roas warns: “Here we are dealing with significant dangers”. What, wind power isn’t safe? Surely not? Rusting, oil spattered ugly things not being ‘maintained’ by Pacific Hydro at Cape Bridgewater and Codrington. Planning Department doesn’t care. Permit conditions do not specify that maintenance must be adhered to, no-one inspects the strength of the components, the metal in the towers, the fibreglass in the blades. Accidents waiting to happen. i.e. after ten years or more of operating in Australian weather conditions of extreme heat and extreme wind speeds over time.